Inspired by the beautiful Milanese Opera House, Teatro alla Scala, the luxurious La Scala collection creates an atmosphere with a genuine sense of the theatrical. Fine fabrics, such as delicate baby velvet and faux fur are complemented with sturdy embroidery and stylish ribbons to emphasise the luxurious feeling of this collection. The soft velvet is another trend making a comeback in the furniture world. These lovely sofas, armchairs, benches and dining room chairs are available in a variety of warm colours. Like most furniture, these pieces are also handmade and thus truly unique! Whether you’re looking for a classic, romantic interior or something a little more hard-wearing, there is plenty of choice in the velvet collections, to give your interior a uniquely special look! Create the ultimate theatrical atmosphere in your home with a beautiful wall-hanging print. 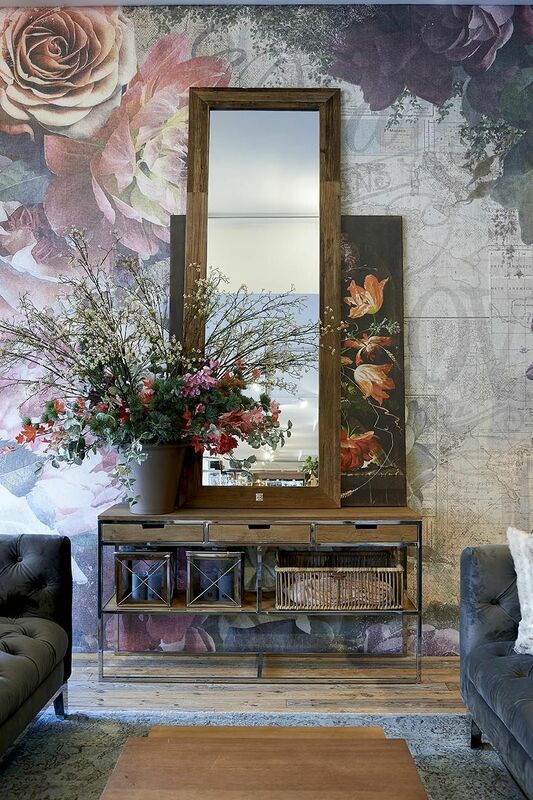 The elegant floral pattern from the La Scala collection is reflected in the print and gives your interior the sumptuous look you have always dreamed of. Choose from lush forest flowers in romantic shades such as burgundy and dusky pink for a spectacular display. A pair of beautiful, decorative cushions, gives your interior just what it needs: warmth and atmosphere! The rich burgundy and dark grey colour scheme is combined with an elegant floral pattern to complete the collection’s sophisticated look. Add a touch of some glamour and drama to your interior with the beautiful La Scala collection.